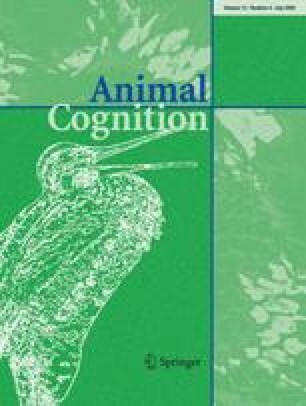 This is a review of the reversed-reward contingency (RRC) paradigm in animals and the cognitive functions on which it is founded. I shall present the RRC basic paradigm and the ensuing modifications it underwent, the animals tested, the results obtained and the analyses offered within the literature. Then I would the claim that RRC is a case of a compound cognitive behavior, one that is the result of interactions between three other cognitive functions: crude numerical assessment and economic choice (uniting value assignment and behavioral inhibition). I will present data concerning these three fields and will demonstrate how they are both affecting and affected by the findings of the RRC scheme. RRC is treated here as a test case for a broader type of analysis, one which, hopefully, will show that in order to fully understand composite and complex behavior we need to meticulously explore its building blocks and their dynamic interplay. I would like to thank prof. Eva Jablonka for reviewing the manuscript and offering insightful corrections and guidance. I would also like to thank deeply two of my referees for their thorough reading and highly constructive comments.